In this episode Mark does a panel interview with members of the Climate Reality Project, the group formed by Al Gore just after the release of An Inconvenient Truth, to train others to give his powerful presentation on climate change facts. In the panel are the two interns that together with Linh Do make up the Australian chapter of the group. Katy and Chris are just finishing their post-graduate studies, and they give great insight into what it's like to be a student at a time of rapid change and public polarization on climate change. Marcus Gibson, trained to be a Climate Reality leader twelve years ago, has given hundreds of presentations, and recalls what that journey has been like. We talk a lot about what the group is, where things are at currently, and about the way forward. We also manage to break some news, with the announcement that after 5 years, there is another Climate Reality training coming to Australia. June 2019, Brisbane, Queensland. 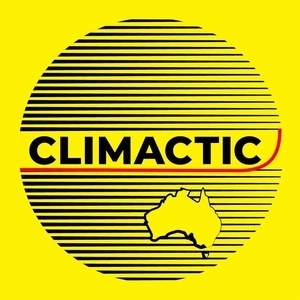 We give a plug for the competition Climactic is running for University of Melbourne students, applications open now. And make sure to check out Big Little Brush for a 10% discount on a 100% better bamboo toothbrush during Plastic Free July. Climate Reality Australia - Climate-Reality-Australia — The Climate Reality Project Australia is Al Gore's climate change leadership program hosted by the Melbourne Sustainable Society Institute. big little brush — 10% discount code, applied at checkout.